Diane Heise and her husband, Casey Cartwright, left San Francisco, October of 2011 to begin cruising on board their beautiful Tayana 37 named Inkatu. After three days and two nights they arrived at Channel Islands Harbor, for what they thought would be a brief stay. 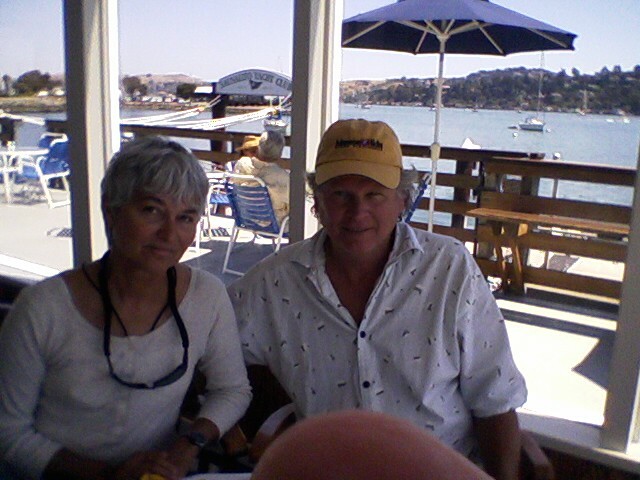 But due to the uncertainty of the weather, their unfamiliarity with the Santa Ana winds, and the incredibly friendly boating community (both at CIYC and CIWSA) Diane, & Casey reconsidered and have decided to stay with us until the fall of 2012 when they will head for Mexico and the lure of the Sea of Cortez. Diane joined CIWSA not long after she arrived here and has said it is the encouragement and camaraderie she enjoys most about our group. A certified diver who has always lived her life around the water, Diane didn’t actually pursue sailing until her early 60s and is always looking for new ways to increase her knowledge. CIWSA has given Diane the opportunity to learn and finesse her skills with women who share her passion. She attends the general meetings, particularly enjoyed the sail-training day, and has even volunteered her time by helping Mary Howard and her crew cook for 100 of us at our last meeting! During off-season cruising months, Diane & Casey’s plan is to spend some time at their home in Sultan, Washington where they have a beautiful view of the Skykomish River from their bedroom. We will miss them both too.